About dating and matchmaking with Russian or Ukrainian women – how to find your soulmate. Men from UK and from all regions of the world travel to Belarus, Russia and Ukraine to find a wife – how to succeed. 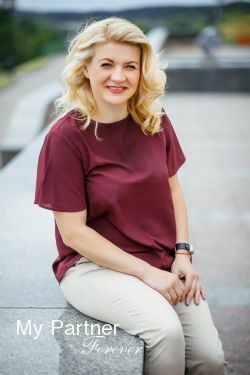 MyPartnerForever specializes at introducing single women from Eastern European countries such as Belarus, Russia and Ukraine to single men from all regions of the world. We work with carefully selected marriage agencies that focus at finding a husband from abroad to their women. Being outnumbered by men, a large number of women will never find their life partner locally as it is mathematically impossible. On top of it, a fairly good percentage of single Russian and Ukrainian men do not want to commit to a serious relationship based on family values and faithfulness. Needless to say, this is not what most single women in these countries are looking for in a husband. Two facts about Russian women dating: there are tens of thousands of nice single ladies who are genuinely looking for a good man from outside their country to share their life with. There are also lots of scammers exploiting this phenomenon. Here below, we’ll elaborate on these subjects and give you some tips and advice on how to avoid scammers and how to succeed at finding your lovely soulmate in Eastern Europe. How to Avoid Scammers and Communicate with Sincere Single Women? Why are these Women using their Local Marriage Agency? Despite English being an international language and the second language many Russians and Ukrainians learn at school; if not practiced on a regular basis, it is like anything else and it gets forgotten. The marriage agency helps their women with professional interpreters; not online translating programs. This may sound hard to believe nowadays, but the fact is that not everybody has access to high speed internet at home, at least not in an affordable way. Remember that the women on our site are single and that their budget usually forces them to make choices and of course, high speed at home may remain on the wish list. And if she has children, chances are the father isn’t helping much if not at all. For those who have access to internet, either at home, work, friends or the internet club, it is fairly easy to create a profile on a regular dating site and look for their soulmate locally or abroad. For local dating, sure it can work as they can meet the man fairly easily and see if it can work or not. But as mentioned, there are not that many single men who are looking for a serious relationship out there and those who are don’t really have to use the internet to do so as there are plenty of single women. For international dating, since nobody verifies the identity of members, it is like an open door for scammers and unfortunately, many scammers are using this open door. So, although there are certainly sincere single Russian women on these sites, chances are you’ll be communicating with someone not so sincere and thus, wasting your time and money. What about Dating Sites that Charge to Send Letters? Why Pay when other Sites Offer this for Free? As explained above, we feel that regular “free dating sites” are great for local dating but when it comes to international dating, particularly dating sites that offer to meet women from Russia or Ukraine, these sites usually don’t do the job. Sites that charge to exchange letters offer one big advantage: a true opportunity to find your soulmate and nonetheless, in a timely manner. And of course, time is money. Although some of these agencies may participate in scamming with different not so honest dating sites, the fact is that there are many agencies that do business in an honest, old fashioned way and their concerns are not only to make a living but to find a good husband for their women. These are the kind of agencies we work with and that explains the “why pay for letters and services”. Either way, as we all know there are no such things as free dating sites. The “free” means that sending letters and receiving letters is free but there is always membership required for men. For local dating, membership is usually in the neighbourhood of 30.00 USD per month or the equivalent in other currencies. For international dating, it is often quite more as many sites offer regular membership, silver, gold, platinum, diamond or whatever the term with a much higher membership cost while giving access to higher end services. In the end, one often ends up spending as much as on a “pay for letters” site but without reaching the goal and remaining single. Plus, the loss of time. Good, honest “pay for letters” sites that focus on the real thing are not that expensive to use if used properly. That is: be patient and well organized. Don’t rush into preparing a short meaningless intro letter and send it to a bunch of pretty but too young girls for you. Prepare a well-structured intro letter, take the time to select profiles of women who match your criteria and vice versa and begin introducing yourself to your top matches. On our site, if the lady isn’t interested in your profile, she will let you know and you get the money used to write her back to your account. For those interested, analyse their reply and retain the most interested ones. Write them back and slowly but surely elaborate on the important subjects. Next, invite them to meet on Skype. If all keeps going in the right direction, plan to meet in person in a near future. This is how many of our clients succeed to find their Russian or Ukrainian soulmate in a cost efficient and timely manner.